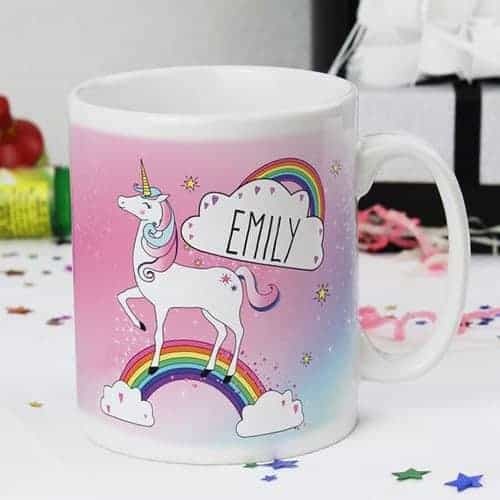 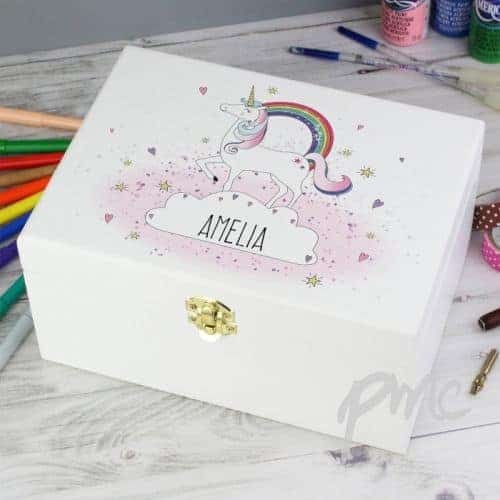 Personalised Unicorn Gifts, cute and trendy! 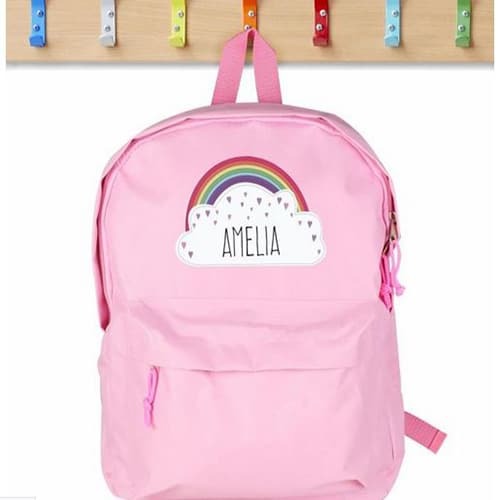 Your child is sure to love their very own unicorn accessories, such as a backpack or mug! 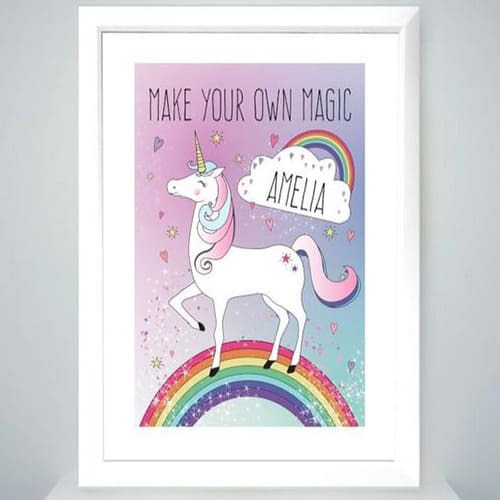 Unicorns are magical creatures, and as such, make for magical birthday, Christmas or Christmening presents! 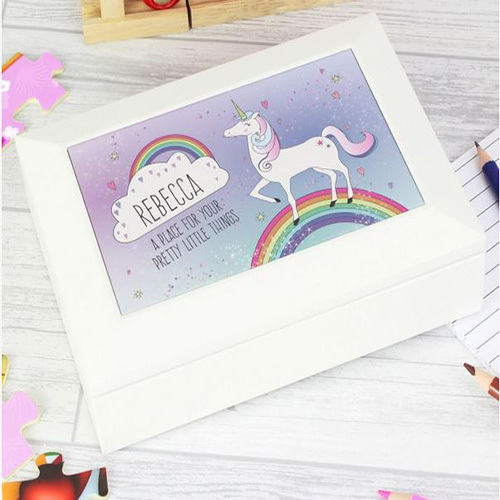 We are certain that your little one would be delighted to see their name on a cute unicorn piece! 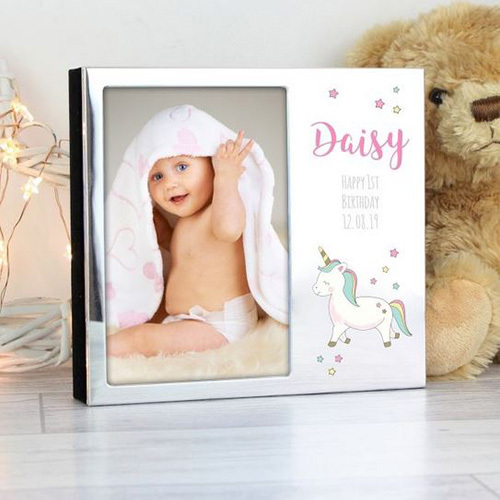 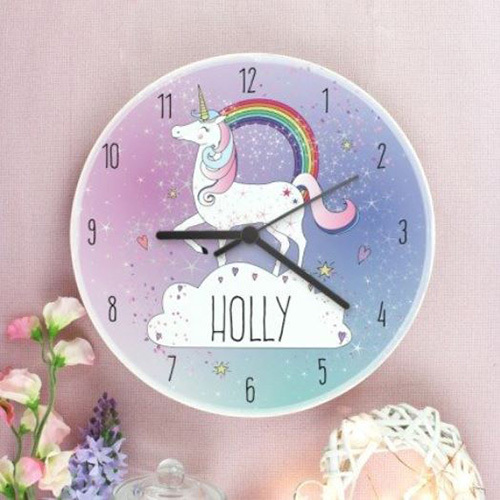 Our customisable unicorn products include: a backpack, clock, wall sticker, mug, photo frame album, jewellery box and a framed poster! 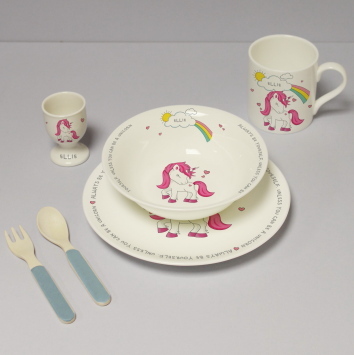 If your child is unicorn crazy, then why not consider buying more unicorn themed products from our wide range! 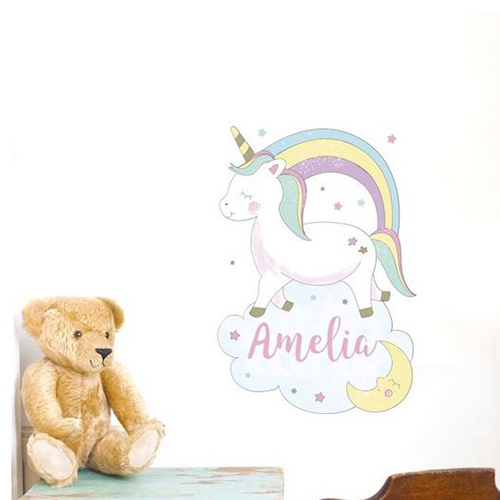 Your little one would love to have their own magical unicorn kingdom bedroom or playroom.